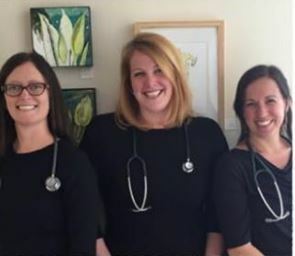 Dr. Carolyn Nygaard, Dr. Mary Bess Gloria and Dr. Allie Evans are licensed naturopathic physicians sharing space to provide integrative medical options to the North Coast community. The clinic provides full-service primary care for all age ranges for a wide spectrum of health problems. Services include wellness exams, women’s health, midwifery, pediatrics, lab services, physical medicine, and chronic disease management. Natural treatment options including botanical medicine, homeopathy, and vitamins are utilized as well as pharmaceuticals when deemed necessary. Most insurance plans provide coverage for naturopathic visits. Billing for insurance is provided when applicable.